Officials are gone, and it seems that they are often used in the circle of people who used officials in the past. Durability is good, and consumption number by game practice is also lessened. Especially in female doubles game practice, you can continue to use it without considerable breakage at intermediate level. Flight is stable Yonex quality, individual difference is not felt, either. The difference with New Officials can be experienced especially in terms of durability, but I think that it is not so dramatic in normal use. You can say that more than a sense of security due to the color of the seal of the certificate is "not" for ordinary first intermediate-level club circle. There is a point that a high-spec shuttle that can be used in practice, easy to strike, easy to fly, but I think that it is not very good with respect to durability and economy. Yonex's Aero Sensor 700 is a shuttle certified by the Japan Badminton Association in FY 2017. Shuttle used for games is a dozen dozen, although it will be higher compared to practice, but the quality is also very good and very easy to use merit. Here and	It is useful when a beginner wants to establish play. I think that it is a shuttle that is comprehensively balanced, such as durability, individual differences, and rotation. I think that it is a shuttle that is useful for beginners who spend a lot of time on basic practice when they want to establish their own play. I am glad that it is also good for cost performance. I use the aero sensor 700 as the main. I think there is only a second grade test passed product, I think that it is not easily broken so easily. Both shot feeling and flight are good, and you can use it well in practice as well as in games. I do not feel much different from the new official. 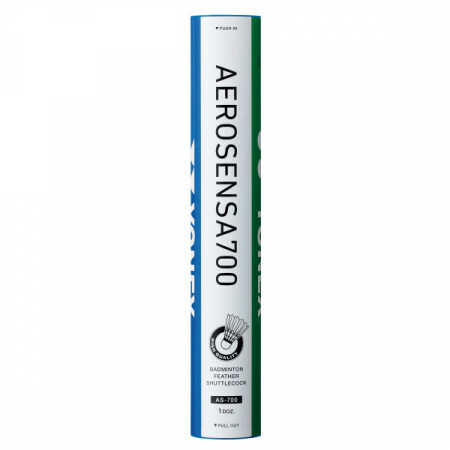 Masaya	Yonex aero sensor 700 is excellent for making a price. I am practicing with YONEX 's Aero Sensor 700 that I use in my current club. Because it is also good to make price so much, practice will endure enough. There is no individual individual difference, flight stability can be used without problems. I feel that the shot feeling is good and I think that it is perfect for practice. Sho	Durability and shot feel are attractive. The best feature is durability. If it is an elementary level it will take me quite a while. The shot feeling was very refreshing, and the power became available for smash. It is for basic practice, but I feel it is okay for the game. It is safe to use because the way of flying is stable.